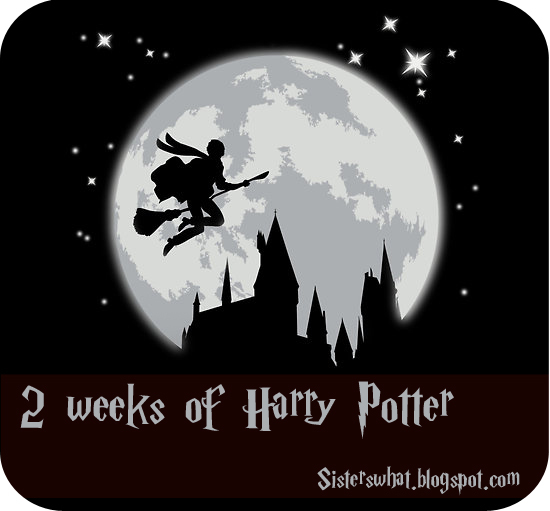 ' Starting now: 2 WEEKS of HARRY POTTER!!! - Sisters, What! Starting now: 2 WEEKS of HARRY POTTER!!! Last October 2011, we did the amazing series "31 days of Harry Potter" (go HERE if you missed it). This year, however, we just didn't have the time or stamina to do it quite like we did last year. Plus, one of our biggest Harry Potter fans just left on her mission, so without her it just wouldn't be the same. But, around this time of year, it's hard not to think of HP. So here is a smaller series for the next 2 weeks until Halloween.